While running the metalizing plant, if we take a few seemingly small precautions, they can go a long way in ensuring optimum usage of energy, expensive materials and thereby money. And as we know, money saved is money earned. 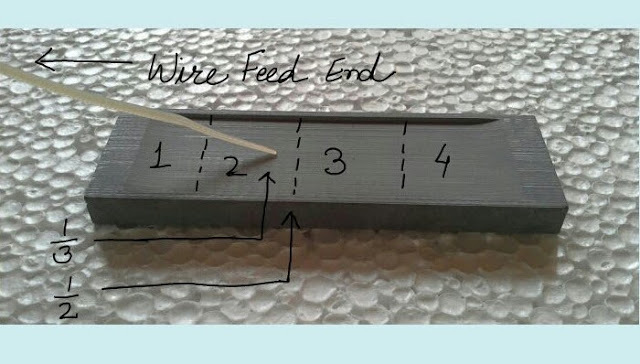 Ideally the aluminum wire should touch the Evaporation Boat between the 1/3 part and the 1/2 part from the wire feed end; never before or after this. 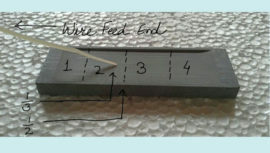 The following photos demonstrate the right as well as the wrong position of the feed wire. 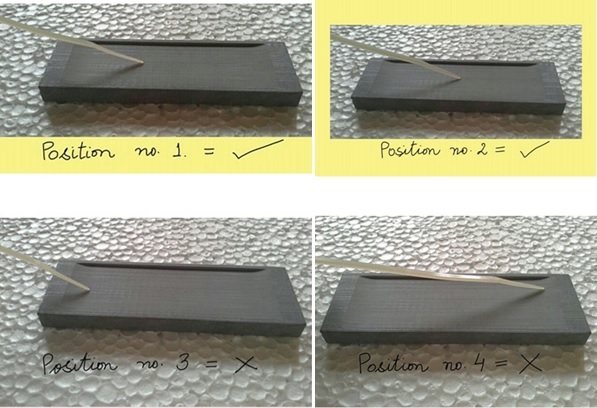 Ø Non-uniform coating of the aluminum on the substrate. Ø Wastage of the Al wire since this will cause excess molten metal to fall off the boat from one end. Ø Shorter life span of the Evaporation Boat since improper feeding of the wire will cause variation of temperature across the Boat. Ø Faulty metalizing: When a molten pool of the metal forms in one part of the Boat’s cavity while the other part remains relatively cold, SPITTING phenomenon takes place. In SPITTING, the liquid metal overheats and bursts forth or ‘jumps’ out of the cavity in small quantities and either sticks to the vacuum chamber walls or on to the substrate.